The following classes for teens and adults will all be at our rehearsal space at 51 Main Street, Bangor. 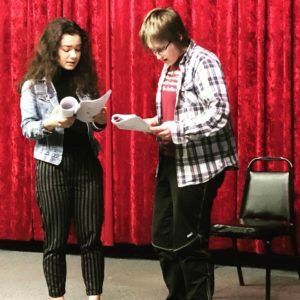 Designed for serious students in grades 9-12, the conservatory offers intensive instruction in the craft of acting. Each session, students will be guided on a journey to grow as an actor by a different special guest teaching artist. Ever walk away from a show in the audience saying to yourself “I bet I can do that”? Well, now you can! 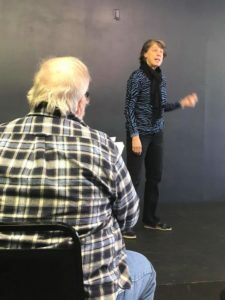 Each week, dive deep in to monologue and scene work on your feet and learn how professionals bring the text to life in performance! Open to adults only.